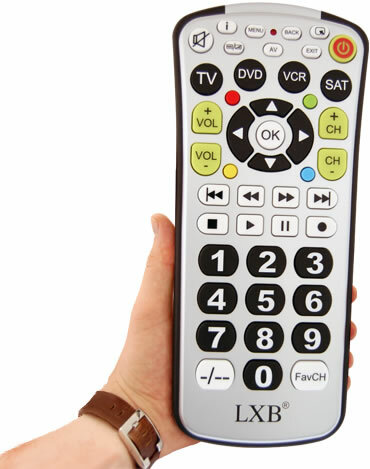 This jumbo size remote control is almost one foot long and equipped with 22.2mm square buttons. 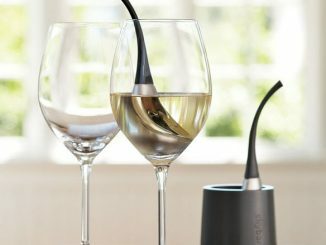 It’s practically indestructible and said to have “all the bells and whistles one would expect from a high end remote”. 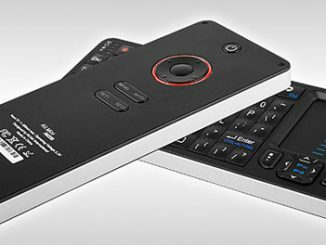 With the large 3-D buttons and its extra large format, this mega remote is perfect for all ages. 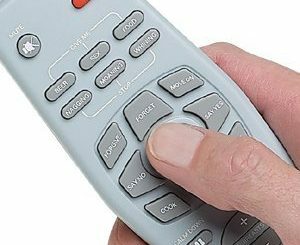 The 4-in-1 remote control is designed for your TV, VCR, DVD and Satellite units so there will be no messing around with multiple remotes. 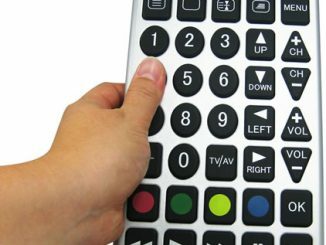 It also has an easy to use button layout for intuitive use, and a favourite program button to quickly flip to your favourite channel. The built in shock absorber is great for those accidental drops, and the rubberized edges will make sure your remote, and furniture is protected. 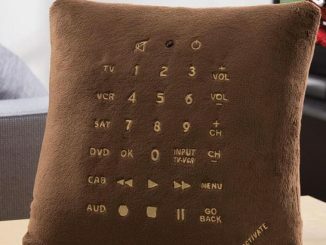 You won’t lose this down the back of the sofa, and you won’t need your glasses to find it. 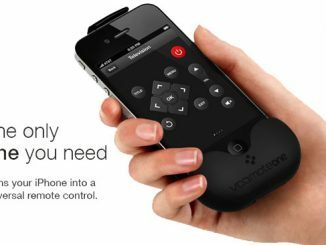 The Ultimate Mega Remote is yours for £19.95 (about $40 USD) over at the BoysStuff.co.uk website. I think the idea is that you can switch between different modes, which would make a total of 88 (4×22) buttons. 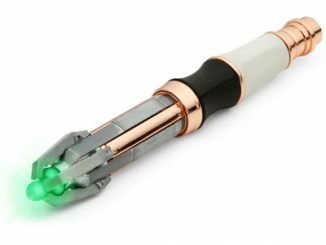 I challenge anyone to lose that damn thing down the back of any sofa! 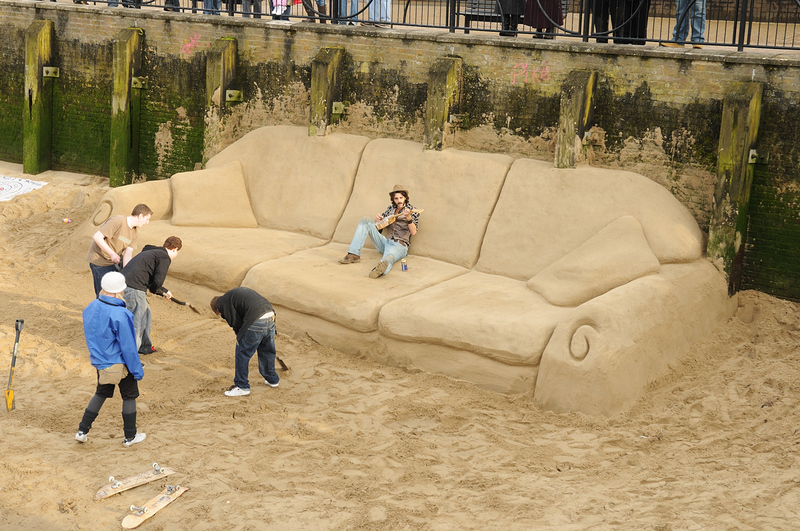 Maybe behind this sofa, if it wasn’t placed against a wall.